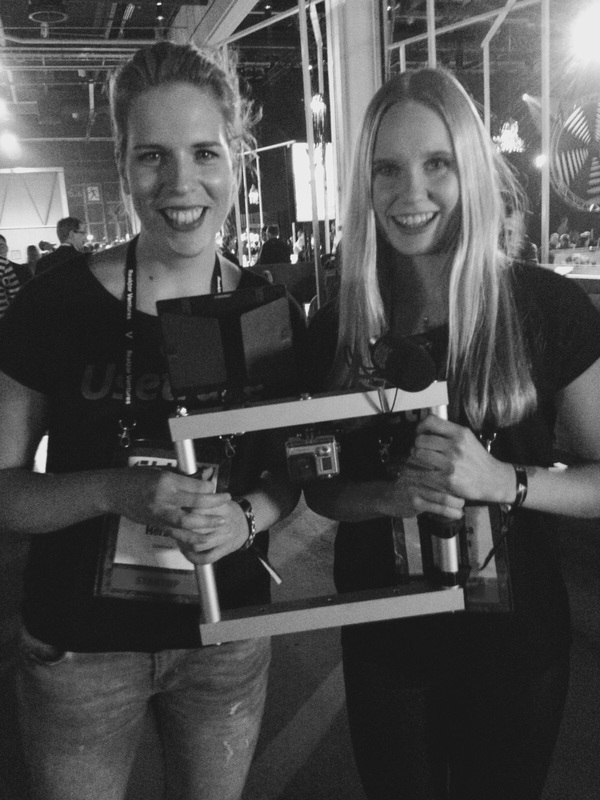 Ansku and Kata, the newest members of the Usetrace team shared their thoughts of their first Slush experience. What were their takeaways from this get-together of the startup world? After Slush2015 I could barely feel my feet. That was the first thing that came to my mind after people asked me about the event. As a newcomer I felt a bit insecure the night before. I actually wondered if I would fit in at all. As I feared, it had already become a “recurring thing” for many. However, before taking part I always believed it to be solely for the more tech-savvy part of the population. I was wrong. Despite my prejudice, I saw a bunch of familiar faces. And it is safe to say my circles do not evolve around app development. I ran into people I know from the weirdest contexts starting from shared summer camp experiences all the way from my childhood. Indeed, it seems that for those two days, you had the chance to basically run into just about anyone. So why could I barely feel my feet afterwards? There is so much to do, so much to see and so many people to meet. One lacks the time to sit down and take a breath. Especially as a first-timer I realized this too late. I completely forgot to take a moment and gaze with awe at the constructions around me, all built with the power of volunteer work. The same happened to me a few years back in South America. I visited the Iguaçu waterfalls at the border of Argentina, Paraguay, and Brazil. Most of the first day I spent behind the camera lens capturing a picture after picture like a lunatic. I was so focused on not missing a moment that I actually did miss it all. The next day I let my camera strap hang on my shoulder for most of the time and spent my last hours creating memories in my mind. Similarly, at Slush I forgot to appreciate where I was; at a whole new destination for young creative minds. I call it a destination simply for the reason that for those two days Pasila (generally not such a notable place on the world map) became a hub. Finns acted unlike Finns and foreigners did not feel the general awkwardness, which usually is more than typical for us Nordic hermits when attempting small talk. Much like after my travels, I am certain that I need to go back someday to get the full experience of the Slush Wonderland. A soul full of excitement describes pretty well my feelings of Slush 2015. For my kind of Slush newbie, this event fulfilled all my expectations and beyond – kind of a radical feeling in the dark nights of November. I just recently got into the tech scene and prior to that special Wednesday I was a bit anxious whether I would fit in. Luckily the enthusiasm flowing around Messukeskus got me carried away and my fears faded away in an instant. As a true people lover it even took me by surprise, how people from biz representatives to casual visitors are so welcoming to get to know you, your company, and your ideas and perceptions. I believe this is just the atmosphere that Finland and the entire world needs right now – air full of openness and optimism towards a smarter future. I believe you get the most out Slush if you let the people in and listen to others to get fresh ideas. That’s why I was happy to be part of some special video project and to get inspired by others. However, this running around with a weird camera set up had its price, which I definitely felt in my body the following days. At the end, I was still left craving for more – more encounters, more inspiration, more learning. Therefore, I’m for sure looking forward next year and my next opportunity to feel the Slush vibes again.